Well that just flew by, we are onto the last week in our Home Renovation series and this week are looking at the home office. 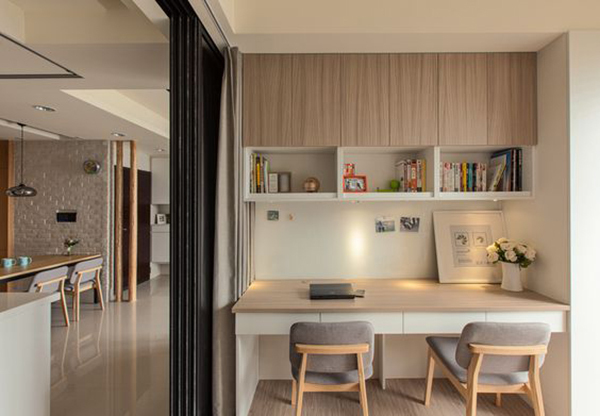 More and more of us are spending time working from home, whether we are trying to put in a few extra hours or skip the rush hour commute, it is starting to become a necessary home requirement. If you have the space then I would highly recommend a dedicated work space, as you can just shut the door and get into the zone. Equally its nice to be able to shut the door and leave the work in there. 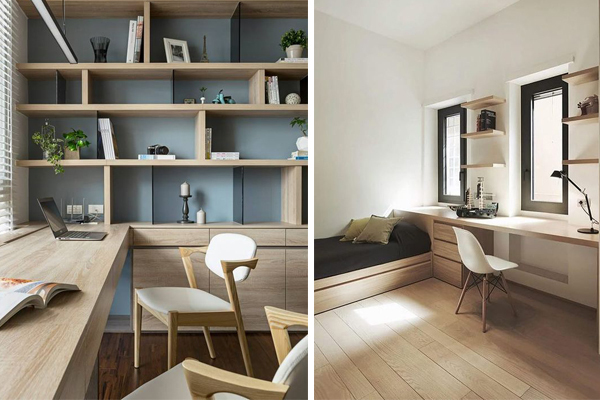 Here are some of our favourite spaces. 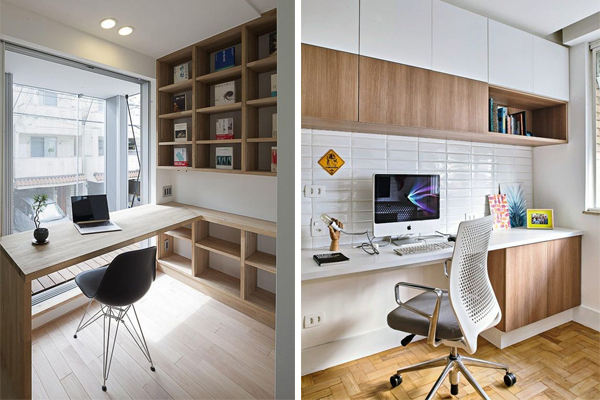 Having a bright and airy home office will help to keep you focused on the task at hand. Natural light is also key to keeping a balanced mindset. 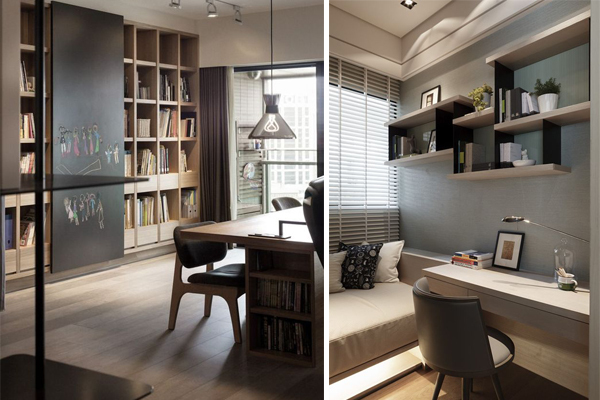 Depending on the type of work that you do, it may be a good idea to incorporate a reading or chill out space into your home office design. Sometimes its just nice to get away from the desk or computer. 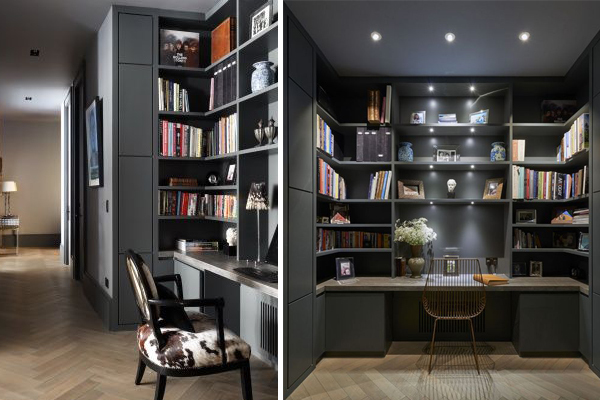 Dark tones can really work in a home office but I would only recommend this style if you use the space on occasion. Mixing darker tones with natural materials can be a really nice balance, check out the image above. If you work in the creative field or the neutral palette just doesn’t do it for you then why not introduce some colour. 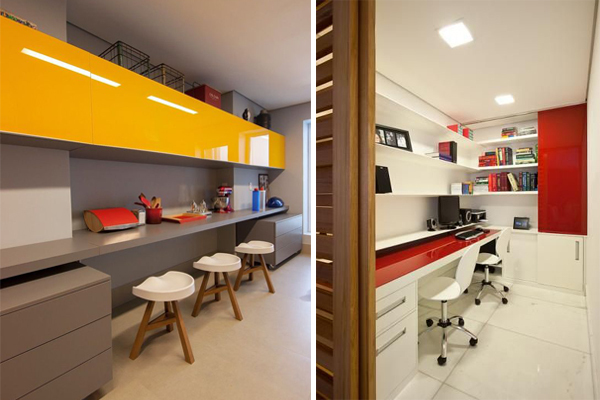 I would still suggest to just add small amounts, as it is a work space and needs to be practical. Evaluate how you are going to use the space, how long you will be spending in the space and then go from there.